A few weeks ago I wrote an article with five ideas for turning boring bulleted lists into engaging interactions. Fundamentally, those ideas were about transforming static content into something a bit more engaging for learners. Interaction and engagement are generally good things, but sometimes making content “interactive” doesn’t necessarily make it more engaging—or even mean that it’s a great way to learn. In fact, adding interactivity can end up being just more clicking, especially for learners who are simply trying to find the information they need to do their jobs. So if you’re not quite sure when to turn content into a full-blown branched scenario-based interaction and when to keep it streamlined, here’s some food for thought. Generally speaking, there are two types of training goals that instructional designers see. Sharing information: This usually involves raising awareness of key facts, like policies or procedures. The goal of training is for learners to be able to prove that they can correctly recall these key facts. Building or acquiring skills: This may also involve sharing information, but with much more emphasis on how learners should apply that information in the performance of their jobs. The goal of training is to acquire or improve skills through practice in situations that may mimic the real-life work environment. When the goal is strictly to share information, try to keep it simple. Make finding that information as straightforward as possible. In many cases you don’t even need a course; but if you have to show something that’s available online, consider creating an online glossary, an interactive job aid, or some other helpful performance support tool. I was in a meeting with a client many years ago who wanted to build a sales training program for new salespeople. The client had a vision for an interactive “history of the company” course that would kick off the program by asking learners to select an avatar and then curate key pieces of company history as a way to familiarize themselves with the organization’s rich history. I’ll admit: it was a very cool concept. But it was also an hour’s worth of content that wasn’t very helpful or relevant to new salespeople. And, at the end of it all, it wouldn’t help them perform the job they were hired to do: sell products. When it comes to training content, relevance is key. When the information you’re sharing is easy to digest and helps folks perform their jobs, you really won’t need to add a lot of bells and whistles (or clicks) to jazz it up and get their attention. It’s easy to forget that learners may access our training content in all sorts of different environments. For instance, people who are accessing courses in an industrial workshop or factory setting, or folks who work outdoors, may not be able to see or hear key information buried in a lengthy interaction. When you’re striving for ways to make your courses useful, don’t overlook accessibility from an environmental perspective. Jane Bozarth wrote a wonderful article on this topic, “But It’s to Code”: Thoughts on Accessibility, that really drives this home. Another important aspect of context is use. Learners who are accessing training on the go may not have half an hour to invest in a how-to course. Let’s take a cable installer, for example. Training a cable installer on how to set up a fancy new DVR is tailor-made for an interactive simulation. But when that same cable installer is out on a job with the customer peering over his or her shoulder, asking said installer to sit through a thirty-minute interactive simulation to troubleshoot a faulty setup isn’t very helpful, is it? When do you add interactivity to your courses? When do you keep it simple? Jump into the conversation with a comment below, or add your voice to the mix in our Building Better Courses forum. Holy relevance Batman! 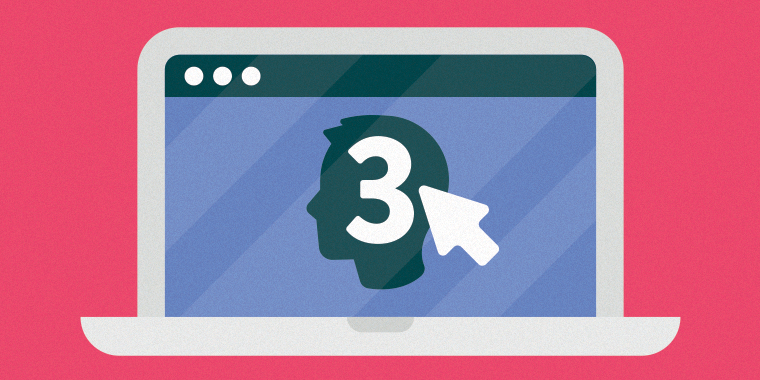 This is such a great article and only really skims the surface of the how, when, and why to use interactivity in eLearning. Brilliant job Trina! I am sharing this all over! Holy article feedback, Lee! So great of you to read and chime in. I'm glad this article will be so helpful to you. I'm always happy to lend a hand to a fellow caped crusader in the fight for awesome e-learning! Excellent article and references! Im looking forward to digging more into this topic. Thank you so much! I was beginning to think that because our courses (which mostly share information) weren't scenario-based and ultra interactive, they were somehow less effective--and definitely not as "good." To be sure, I'll still strive for interactivity whenever possible, but I'll also continue to emphasize graphic design principles and traditional instructional design conventions! Thanks for reading and commenting, Michelle. I think you're right that there are a lot of different ways to define "good"e-learning. Just because something isn't full of clicks and scenarios doesn't mean it's not effective. Michelle, thanks for sharing your comments. It sounds as if we're developing the same types of courses and I've had some of the same feelings as you. I guess the phrase "less is more" really does apply sometimes. I will keep striving for excellence in the principles that are important for my courses and at the same time make them as engaging as possible. Thanks Trina. Really nice article Nicole! You describe the difference between delivering designing support and designing learning by doing (applying knowledge). Appreciate the thought-provoking article Trina. It made me think of how important it is to deliver the training in a way that meets the needs of the learners. Sort of like playing the game Pictionary - it's all in the way the picture is drawn. For example, if you're trying to get your team to say "train," you don't start drawing the caboose, cars, and then engine. You draw either the tracks first or front of the engine with the stack and smoke and 90% of people will say "train." Training is similar and we shouldn't over complicate it, even though novelty is important to stimulating brains, it doesn't mean activity in and of itself is needed. I really like what the authors say in Training Ain't Telling, Learning centered, performance based." For example, "you have a group of technicians who have to learn about a new approach to diagnosing a problem. Do you want them to: 1) know about the new approach, or 2) do the job correctly?" Obviously your goal is to have them perform the job correctly, not just learn the details or memorize facts. Thanks again for sharing the thoughts, much appreciated. Great article! Refreshing to see an objective look at when to add and when to hold back on the interactivity. I think a key point you make is to determine if the content is intended to share information (usually regulatory) or to build skills. Sharing information is usually best done by presenting training that is quick and to the point. Building Skills courses usually make a clear 'What's in it for me' statement that adult learners appreciate. Thank you Trina.